Diethanolamine (DEA) Analysis Cartridge | OndaVia, Inc.
Organic amines are corrosion control agents that increase pH and scavenge corrosive contaminants. diethylamine (DEA), for example, is a widely-used corrosion inhibitor that eliminates dissolved CO2 and helps control pH in industrial boilers and nuclear power plants. Amines are also effective as hydrogen sulfide scavengers in oil and gas production and processing. On-site monitoring for amines can help maintain appropriate corrosion protection, extending system lifetime and avoiding costly corrosion-induced shutdowns and failures. 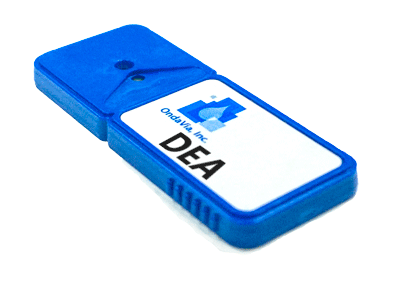 The OndaVia Analysis System with the Diethanolamine Analysis Cartridge provides a fast, easy DEA measurement. The bench-top instrument consumes single-use, disposable analysis cartridges that provide a fast, easy-to-understand measurement of DEA levels in water. Whether used to control amine dosing or as a wastewater monitoring system, an OndaVia Analysis System provides fast, easy-to-understand DEA measurements. In contrast to the alternative of laboratory analysis, an OndaVia system gives you the on-site results needed for an immediate response.